To be honest, Taiwan was never on our bucket list. 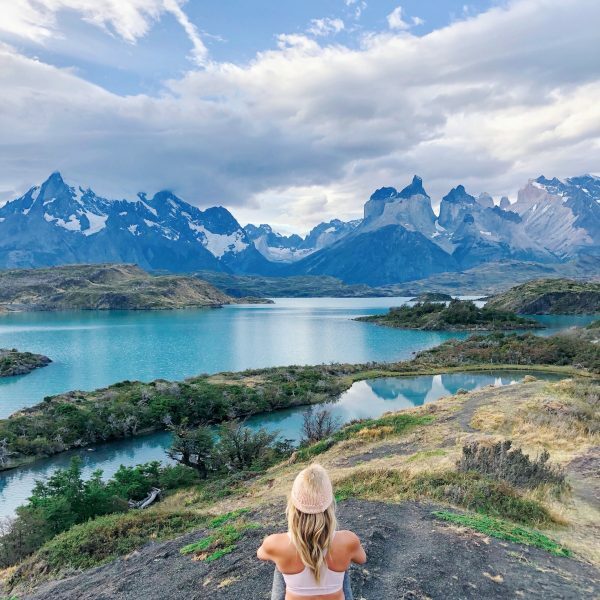 We’ve found that it’s not a popular destination for many Western travelers, but this trip turned out to be one our favorite experiences yet! 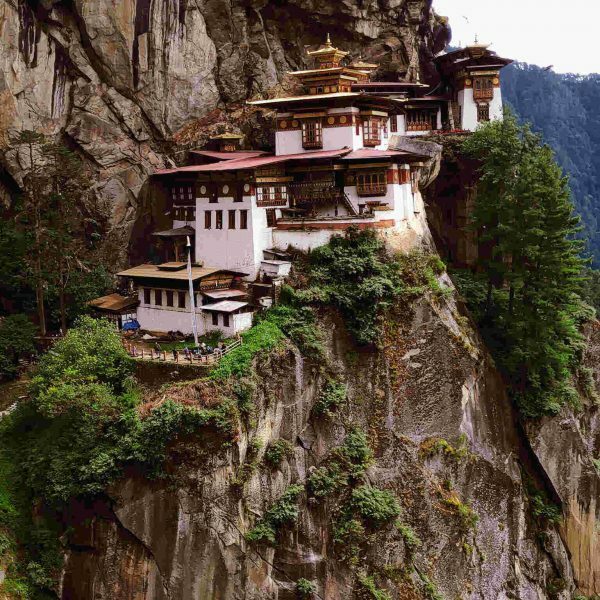 From easy transportation around the country, to a great food scene, to scenic beaches and fun nightlife, you’ll find tons of reasons to fall in love with this East Asian country! 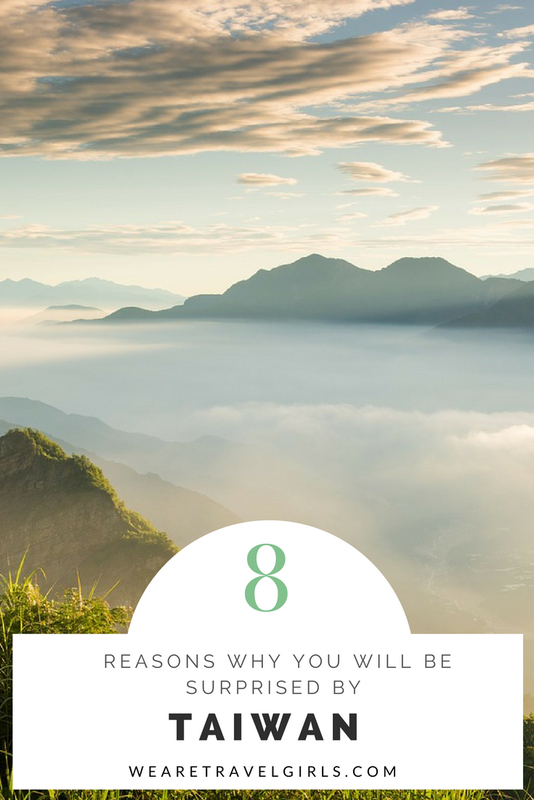 Here are eight reasons why Taiwan will surprise you when you visit. Taiwan was a last-minute trip for us. We had planned for Bali to celebrate the New Year, but due to Mt. Agung’s eruption we decided to change our plans. With only two weeks notice, our options were limited. But because our flight to Bali already included a Taiwan stopover, we easily modified our tickets to be round-trip to Taiwan. And so we spent an unexpected New Year in Taiwan, which turned out to be one of our favorite trips! Taiwan is worth a trip all on its own, but an alternative is to plan for a long stopover on the island. Many flights to Asia are routed through Taiwan, so it’s easy to spend a few days touring the country as you pass through toward your final destination. However you get to Taiwan, the most important thing is that you give yourself time to explore! Public transportation is pretty impressive in Taiwan. 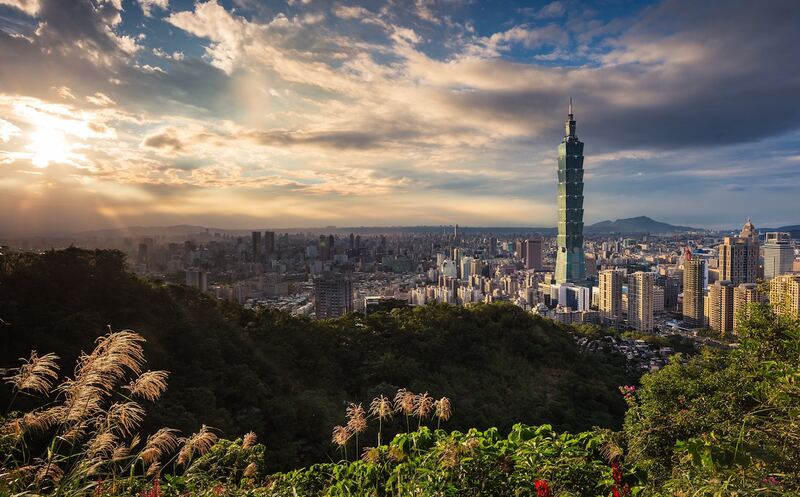 There are several options to get from the airport to Taipei, and to travel around Taipei. You’ll find taxis and buses everywhere, and the MRT (Taiwan subway) and THSR (Taiwan high-speed rail) are cheap, clean, and super easy to navigate. Commuting to different cities within the province is also convenient and most cities are accessible via public transportation. I found this transportation guide which was very helpful in planning our commutes in Taiwan. For two days I had no car and explored on foot, which was perfect since everything was either at a walkable distance or accessible by MRT or bus. Uber and yellow cabs are also options but you’ll need to prepare for the language barrier (many people in Taiwan do not speak English). On one Uber trip, I spent 15 mins explaining the driver where I was, to which he only kept saying “I don’t know.” That’s all the English he knew. The road signs were in English but their pronunciation made it difficult to communicate. After 20 mins of being (literally) lost in translation, my ride finally arrived. It won’t always be this difficult, especially if your pickup and drop off points are well-known landmarks, but prepare for some challenges. Hand signals (left, right, and U-turn) also work in any language! We were overwhelmed by the accommodation options we had for our stay. Taiwan has really cool, quirky hostels all over. We focused on the places we wanted to explore to help eliminate potential hotel options. All our accommodations were super cheap and at a convenient distance from MRT and bus stops. My experience with the stay in Taiwan was 10/10 in terms of safety, hygiene, cleanliness, convenience, and communication. Taipei has a variety of trendy and themed hostels. This was my first time staying in a hostel, so I was pretty excited. I was staying at Space Inn Hostel in the heart of Ximending. This is, no surprise, a space-themed hostel. Extremely clean, hygienic, safe, in a good location, and tons of fun. While in Taipei City, we booked at the Roaders Hotel because all hostels were fully booked. 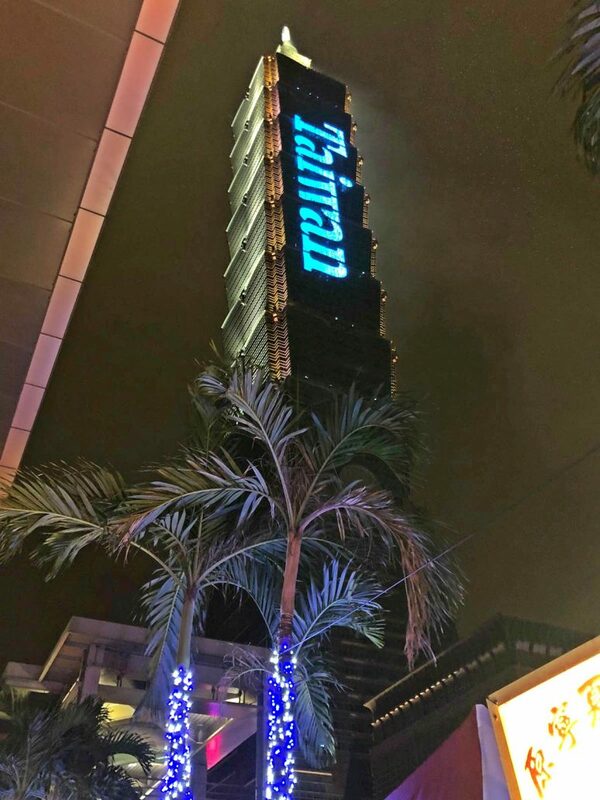 The hotel has a cool hipster vibe and is located about a 15-minute drive away from Taipei 101 (the Taipei World Financial Center). Even outside of bustling Taipei there are plenty of great options for clean, cool, and affordable accommodations. While visiting Kenting in the south, we stayed at Kenting Dajian Mountain Leisure Cottage. 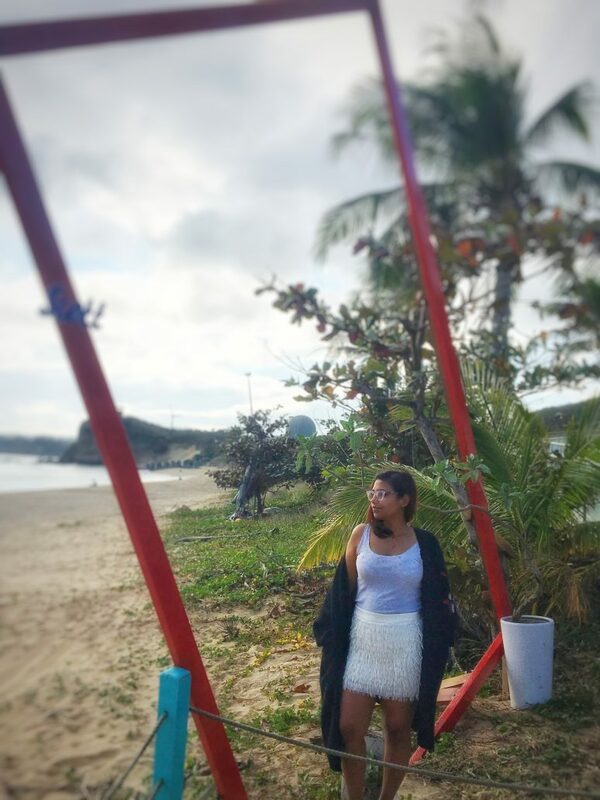 It was located right in front of Kenting Beach, close to Kenting Night Market and Kenting National Park, and only a 10-minute drive away from Heng-Chung township. Driving on our long road trip to Kenting was an adventure in itself. 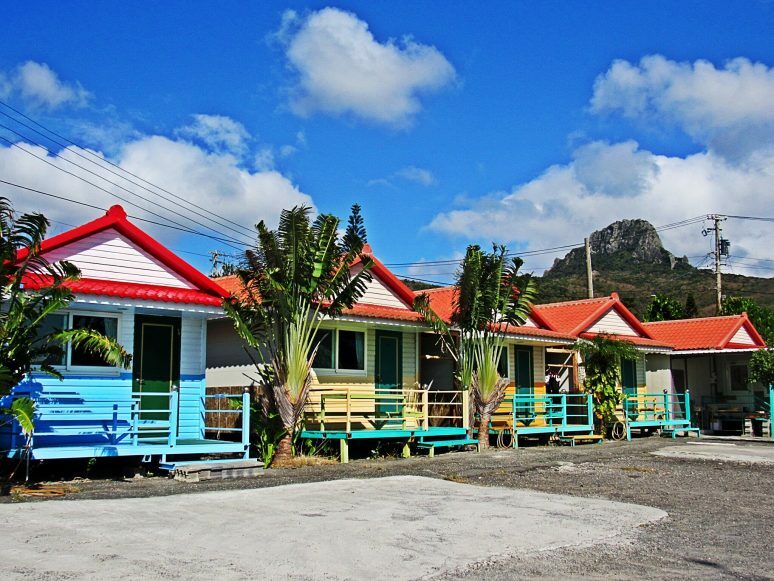 The 8-hour drive has endless exquisite views of the coastline decked with windmills and coconut trees. In some areas the roads were quite sparse, making any missed turn or detour a lengthy journey down very narrow lanes. But even these tiny streets are beautiful, often surrounded by fields and scenic views, and can be a fun adventure if you have the right mindset. If you’re planning to visit some of the towns in central or eastern Taiwan, a car might be your best option for transportation. Be sure you have a good GPS and preferably a friend to keep you company and help you navigate narrow roads if necessary. As coffee lovers/addicts, we love to explore new coffee shops in any new destination we visit. If you’re a coffee fan too, you definitely won’t be struggling for a fix in Taiwan. Gu Keng in Taiwan is the coffee hub and has a huge coffee plantation, something we were not aware of and was definitely a surprise. While walking back from 228 Peace Memorial Park, I came across this coffee shop called Bean there Cafe. A mix of modern and traditional, this coffee shop also had a library, so you could sit and read a book or buy one as well and of course amazing coffee. 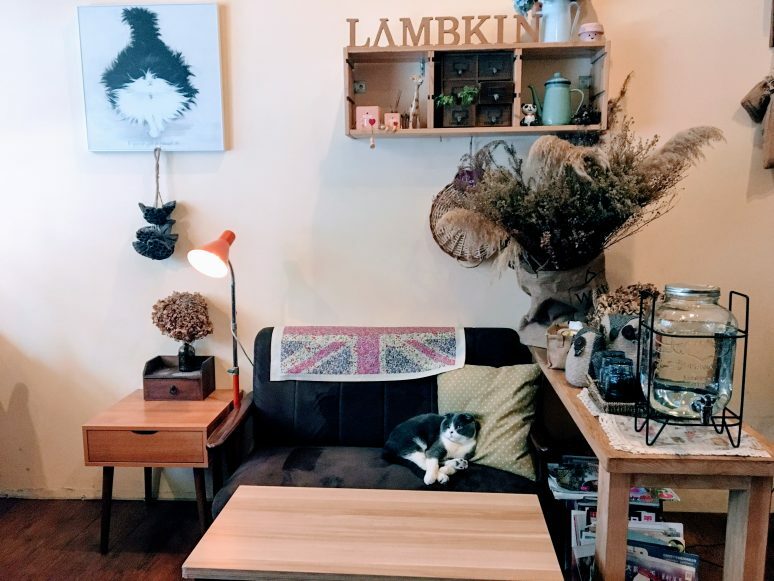 On our way to Kenting, we wanted to take a coffee break so we looked for a nearby coffee shop and came across LambKin coffee shop in Zhudong township. This was a small easygoing town and we had no idea what to expect from this coffee shop. In the middle of a residential area surrounded by old dilapidated buildings – a cute, little, quirky coffee shop. Their menu had no English translation, so they were translating the menu into English words to us. Communication was definitely one of the biggest problems we faced in Taiwan, but the locals were often very helpful in trying to translate for us. 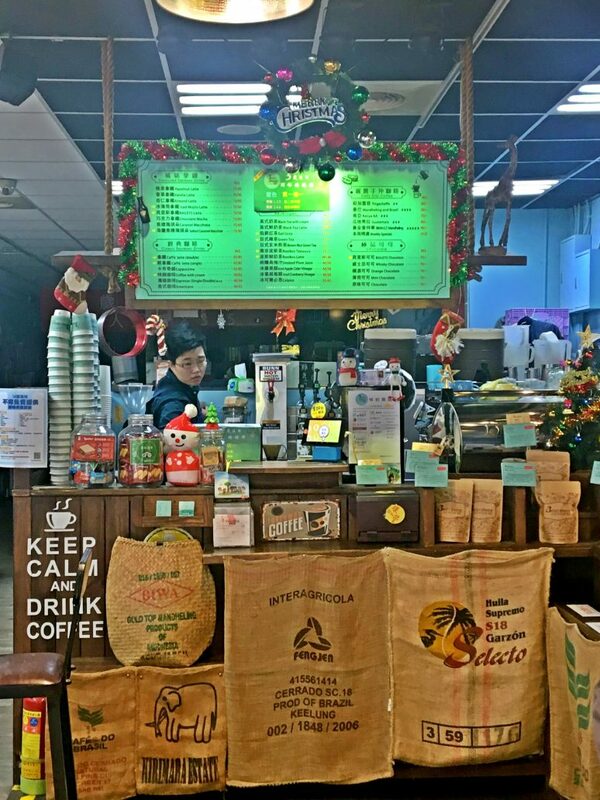 Coffee culture is growing in Taiwan and apart from some really good coffee, you will see some really top-notch coffee shops with an offbeat decor, warm environment and welcoming people. The night markets were another element that confirmed that Taiwan indeed has it all. Food, drinks, hookah, dance, street shows, and music, night markets here are a blessing! With the variety of food, you can never starve here (as long as your food preferences are flexible). I got a chance to visit Shilling, Ximending, Shifen Old street and Jiufen Old-street. All the night markets have lots of restaurants, street food, shopping, malls, etc. I was in food heaven and went crazy trying as much as I could! The one restaurant that personally caught my attention was Modern Toilet in Ximending. This toilet-themed restaurant has a variety of food options to choose from and has appetizing food served in a not so appetizing toilet pot. However, I was never out of food during my stay in Taiwan as I always had options right next to me. Every night market is different in its own way. 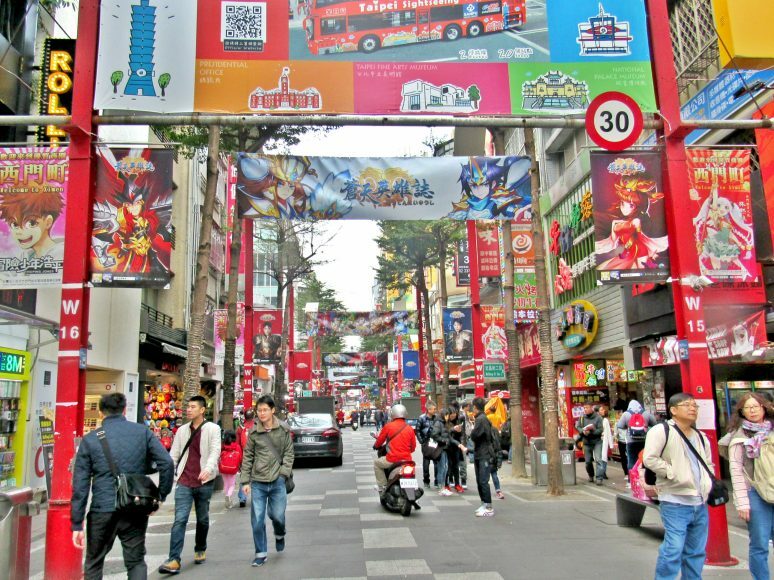 Ximending is more commercialised with big shopping malls and fancy restaurants which I didn’t see in Shiling Night Market, Jiufen or Shifen old street. Shilling Night Market is more of a laid back and has more of street food options, game stalls, and shopping stalls. Whereas Jiufen Old Street still has the essence of Japanese style which reflects through its architecture and also the view of Keelung Outer Sea. Shifen Old Street has souvenir shops everywhere and a majority of them sell lanterns, so I got their traditional lanterns with a message engraved on it one for me and my friends. After walking a little ahead I see a railway track where people were lighting the lanterns, which is one of the touristy things to do. I was engrossed in taking pictures of the whole chaos until we heard a loud whistle and the next thing I see is people getting off the track and on the side. In the midst of lighting the lanterns it’s easy to forget that we were on a functional railway track with the train approaching! 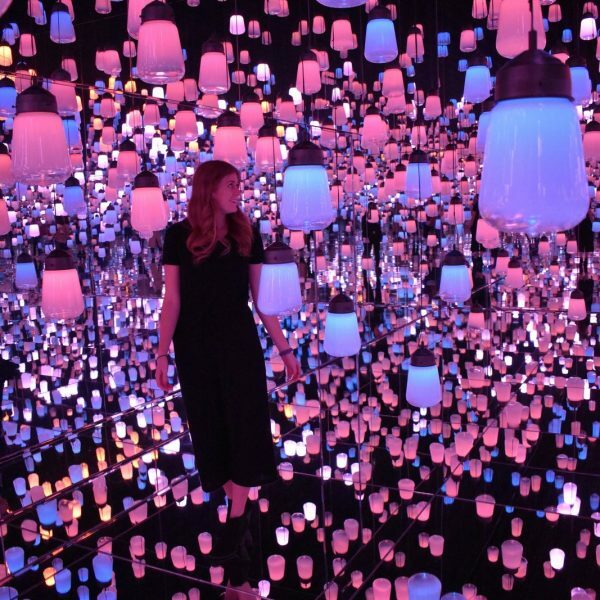 I would have never imagined the spot to be so famous for lighting a lantern but it made the experience that much more unique. Apart from the night markets, I also saw a lot of small food stalls everywhere around the city just like in India. On another note, Taiwan definitely knows how to party, as there are a lot of clubs and pubs in the city. 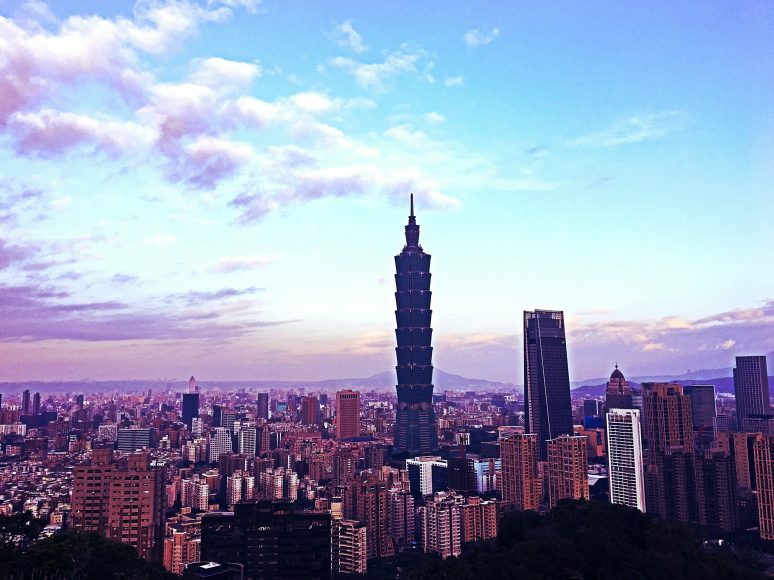 For New Years, we wanted to look for a crazy place to celebrate and be close to Taipei 101. The downtown area near 101 has two buildings called ATT4fun and Neo, with Taipei 101 right in the middle of these two buildings. Both the buildings have some really great clubs like Elektro, Wave, OMNI, ROOM 18, The Show Box and WAX. All these clubs are in one of the two buildings except for OMNI, and they have a cover charge with first drink free of cost. We paid around 1500 NTD cover including our first drink. After that, it cost us around 200-300 NT per drink. Whenever we went clubbing or to a pub, the place would always be packed and the crowd had a lot of energy. Half an hour before the fireworks, we stepped out of the building and found a spot in front of 101. Taiwan is blessed with the wonderful coastline which is hidden from the main city. So when I drove to Taroko Gorge, Kenting, Taitung, and Jiufen Old Street is when I got to see it and I was definitely stunned. I really liked how they have a perfect balance of city-life and to get away from the business, a drive to Hualien, Kenting, Taitung is all what one would need. On my drive to Taroko, I got an uninterrupted view of the coastline from Quingshi Cliff which falls on the way towards the Gorge. During our stay in Heng-Chung and Kenting, everything was available at a walkable distance from our Airbnb. We were looking for some good food and drinks by the beach, and while we were drinking coffee at Migu Village the owner of the shop suggested a place called Three Fools which is on Kenting beach. Sitting on the beach and enjoying some Taiwan beer with barbeque chicken and prawns was refreshing. 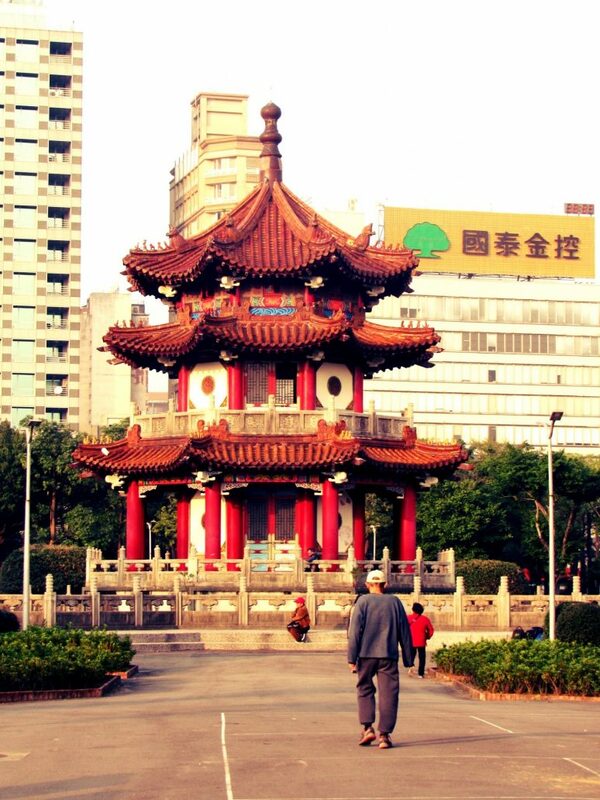 In Taipei, night markets and parks are at a walkable distance or easily accessible via public transportation. Taiwan also has some amazing hot springs, which are perfect to visit in December when it can get pretty cold. Beitou Hot Springs are the most well known and are around 30 minutes away if you take MRT from Taipei Station. It’s one of the only radium hot springs in the world and is supposed to be therapeutic. Wulai Hot Springs are another famous hot spring in Wulai district, and there are few others in Yilan County and Miaoli County. We were pretty amazed because we did not expect to find so many hot springs in Taiwan! 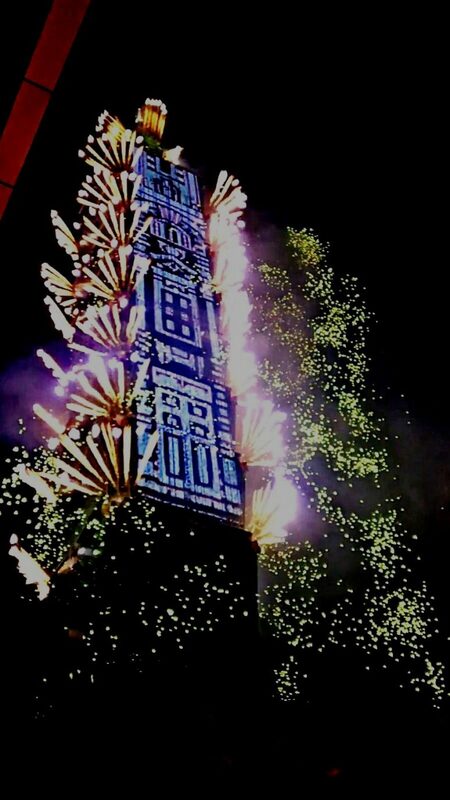 My lofty expectations were set after seeing Burj Khalifa fireworks in Dubai on New Years last year. I had heard that the Taipei 101 fireworks were impressive, so I was excited to see them for myself. We got out of Elektro Club around 11:45 PM and squeezed our way through the crowd to find the closest spot to see the fireworks. As soon as the countdown started our hearts started thumping because we knew we were about to experience something exhilarating. The whole thrill and the wait just made it even better, and the fireworks went on for 6 minutes. We were so engrossed in the fireworks that we completely forgot to wish a Happy New Year to each other! Exploring Taiwan has been an escapade that really surprised me. Even though there were some roadblocks, the journey is what made it fun. There were times when we would get frustrated with the way things were, but that’s the beauty of being in a new place and accepting it for what it has to offer. The end result was a remarkable experience! Have you been to Taiwan? If you have any additional tips for our readers or questions please leave these in the comments below. To receive our articles and reviews straight to your inbox Subscribe Here. Subscribe to receive free access!